Designed to be suitable for wear all year round, the Classic Beadnell is fully interactive with Betty zip-in liners and detachable hoods, and features a stormfly front close, moleskin handwarmer pockets trimmed with leather and large patch pockets. Inspired by Barbour's heritage archive jackets, the Classic Beadnell features the traditional corduroy collar. 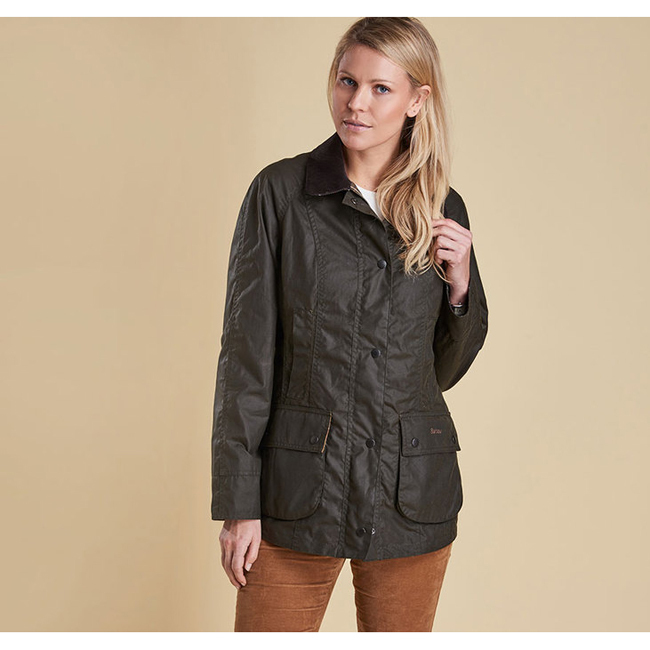 The Classic Beadnell is an ideal everyday jacket, with shaped front and back panels for a relaxed feminine fit, perfect for layering over knitwear in winter.